Do you have questions about your own hearing loss and how it might be improved? See our FAQ page for the answers you need. Your hearing instruments need periodic maintenance and adjustment to provide optimal performance. Do you hear but can't understand…? - Free test drives / no commitment. Never overbuy or under buy! - Compare to find the best solution. Trust us to help prove which is the best. - 3 year warranty and L&D with batteries or recharger provided. - Expert audiologist with over 30 years experience. - Free wireless accessories for your TV & cell phone. Today's hearing aid technologies offer far greater help than ever before possible - more natural sound and more effective screening of background noise. Our goal is to maximize your hearing by applying these technologies and new developments in hearing aid advancements to enhance your personal, social, and professional life.Wireless technology is used effectively in hearing aid design at all product levels and can be described as almost magic. Hearing instruments worn on both ears using wireless Bluetooth technology actually cooperate in focusing on speech and reducing noise sources in real time instantaneously. Today’s wireless hearing aids can let you have your cell phone without touching it or holding it to your ear. You can hear your TV or stereo as though you have a stereo headset on even with no sound coming from your TV. Additionally, you can also set your hearing aid so others can hear TV normally while you hear it at your preferred volume. Another benefit of this new class of hearing aids is the reduction of wind noise in the outdoors. Conversation in the wind is no problem with wind turbulence removed and the speaker’s voice coming to you in both your ears. Tiny remote microphones within each hearing aid can bring someone's voice to you from fifty or sixty feet away or from across a table in a noisy restaurant. Most technology today is all but invisible, and some devices absolutely are. The times, they are a-changing. 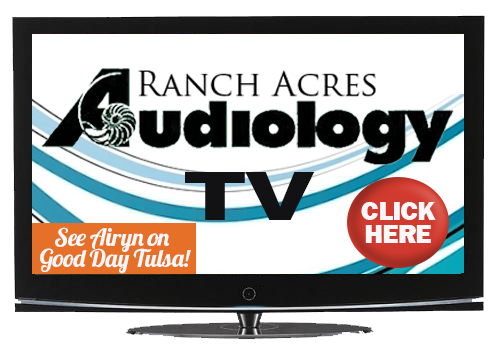 Copyright © Ranch Acres Audiology. All Rights Reserved.